Item in pic only. It’s always possible when dealing with any technology (used or new) that it may be dead on arrival. Compatible models shown above are for reference purpose only. not all compatible models are listed. 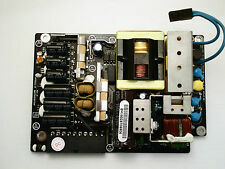 Input / Output Output: 3.3V 5V 12V -12V 5VSB. your system may not need them all. it is fine to leave unused connectors unplugged. NEW and IMPROVED! Noise Level: Maximum of 32db at 100% system loading. Efficiency: 70% Min. at full load. Should it not work for any reason. Product must be presented to us within the warranty period. 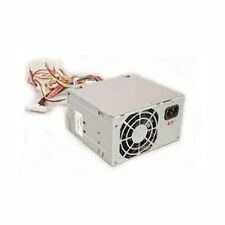 Gateway Hipro power supply 305W HP-P3087F3 Power Supply . Condition is Used. NEW and IMPROVED! Noise Level: Maximum of 32db at 100% system loading. Efficiency: 70% Min. at full load. Approved by UL, TUV, RU & CE / 1 Year warranty. Safety Approval and Warranty. 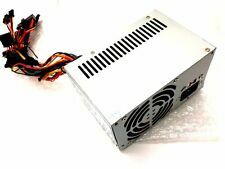 HIPRO HP-P3017F3 300W Power Supply Dell GH5P9 Vostro 230. Condition is Used. Shipped with USPS Priority Mail. Manufacturer: Hipro. Compatible Model: HP Pavilion S5228HK, S5200Z. Condition: Manufacturer Refurbished. Part Number: HP-G251GF3. Mid 2007 iMac 20" A1224. Early 2008 iMac 20" A1224. Manufacture: HIPRO. Input: 100V - 240V. Trending at $18.06eBay determines this price through a machine learned model of the product's sale prices within the last 90 days. (A representative will respond quickly. Manufacturer HIPRO. This item passed all key functionality tests. 7) Prompt service and repair. OUTPUT POWER 400W. If you prefer you may also feel free to recycle such materials to any local R2 or e-Stewards certified recycler. MPN HP-D4001E0. 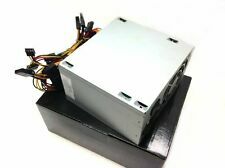 Has 20-pin Main, 4-pin CPU and P11 Aux power connectors and Seven accessory connectors; One for 3-1/2" floppy drive, Six molex for 5-1/4" Floppy, HDD, CD-ROM drives, etc. OUTPUT POWER : 150W. DC OUTPUT -5V/16A, 12V/6A. AT Computer Power Suply. 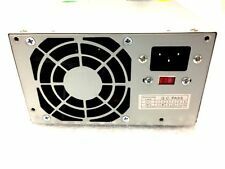 Hipro 250W Server Power Supply- HP-U252EF3 Pre-Owned. Hipro HP-P3017F3 LF. Energy Star Efficiency (proven efficiency and safty). Complies with FCC part 15J class B 115Vac Operation and CISPR22 230Vac Operation. 100% Hi-pot & Function (Chroma)tested. Over Power protection. I tested it and it works great. To start it up, connect the black wire (or pin 13) with the green wire (or pin 14). It does not need a load. Grey- Power OK. Green- Power on. Yellow- 12V. High energy efficiency. Compatible models shown above are for reference purpose only. not all compatible models are listed. MTBF: 100,000 Hours on Maximum Load at 25°C. Quiet Performance. Connector included: ATX Connector 24 (20 4) Pin X 1 PC, P4-12V 4 Pin X 1 PC, SATA 15 Pin X 3PC, IDE/Molex 4 Pin X 6 PC, Floppy 4 Pin X 1 PC. 20 PIN Power adapter for Pentium 4 motherboard. 4 PIN 12V power connector x 5 for computer component (for HDD/DVD), 4PIN Floppy Connector x 2. DC Output : 5V/25A, -5V/0.5A, 12V/8A, -12V/0.5A. Output connectors includes 24(20 4)pin, P4-12V 4pin, SATA II 15pin, Molex 4pin, and FDD 4pin. ATX Connector 24 (20 4) Pin x 1. Maximum Output: 305W. Gateway P/N: GWP-3087F3. Output Power Connectors 1x 24 pin Board Power Connector. Output: 3.3V @17A; 5V@22A; 12VA@18A; 12VB@18A; -12V@1A; 5VFP@2A. Hard Drives and Optical Drives are inspected, cleaned, tested and replaced if needed. Tested good again on 10/18/2017.